Chicago, Cook County - Defense Department's 1033 program charts. 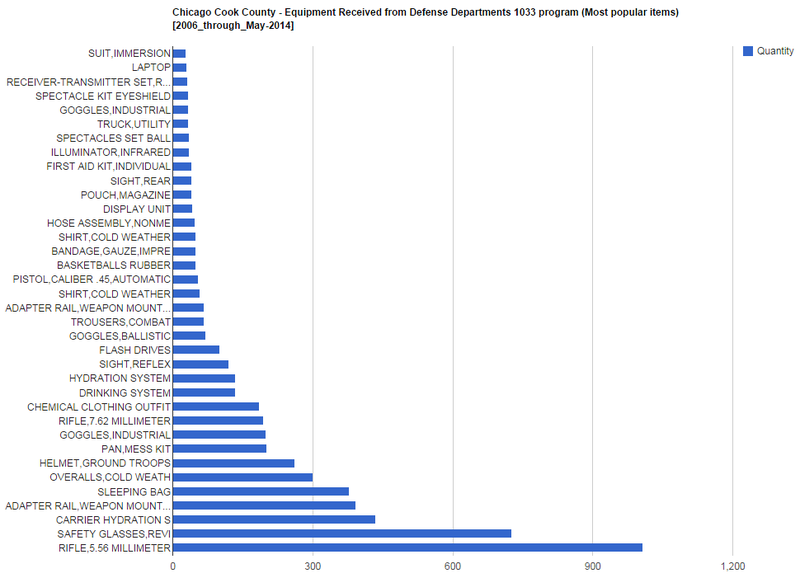 Chicago, Cook County – Defense Department’s 1033 program charts. 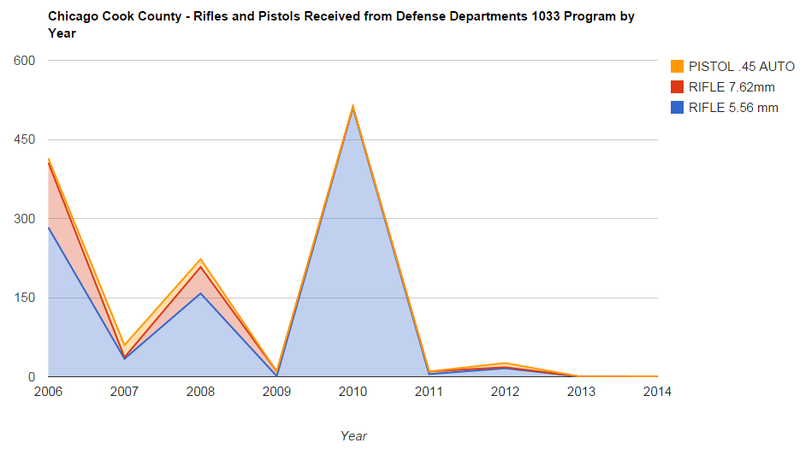 This chart displays Rifles and Pistols received by year. This graph shows most popular equipment items received from 2006 through May 2014. 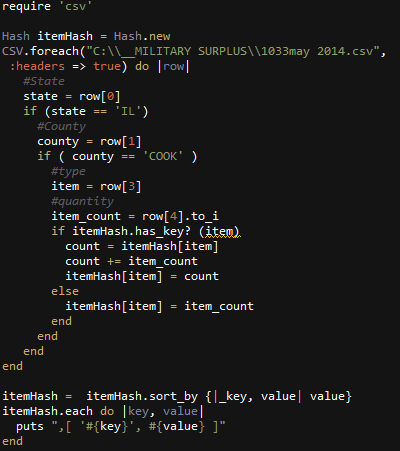 Ruby code used to parse and format the data. Google charts was used to display it. This entry was posted in Chicago Data, DataViz, Ruby on 09/23/2014 by MantasCode.